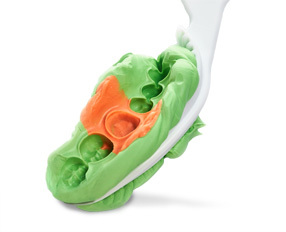 Encore AF is a smoother, creamier version of our original Encore self-cure composite core buildup material. The improved blend of hybrid glass filler syringes easier and features an increased mechanical strength. Available with fluoride and in natural and white shades. Kits include: 1 (25g) Base + 1 (25g) Catalyst, Mixing Pad and 50 Spatulas. How should Encore AF be applied? It is recommended that Encore AF be applied using a syringe placement with a NeedleTube. Does Encore AF require the use of a matrix or core form? No. Encore AF does not slump and therefore does not require a matrix or core form. Can eugenol materials be used AFTER Encore AF is used? Yes. Eugenol containing material can be used AFTER Encore AF is fully cured. How does Encore AF cut? 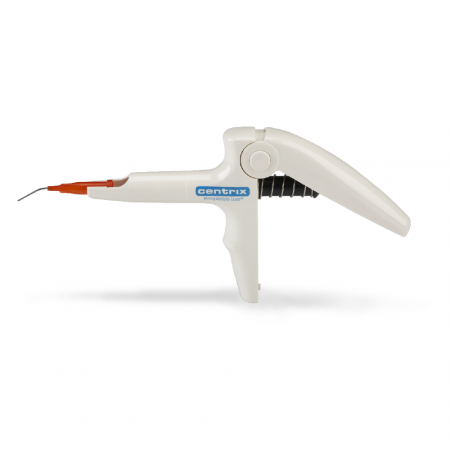 Encore AF cuts similar to dentin and is easily cut with a standard diamond or bur. Do not cross-contaminate jars. 2-1/2 minute working time from this point on. Back-load into Centrix C-R® Syringe tube. Do not load more than 1/2 full! Finish Encore / Encore AF when fully set (4 to 5 minutes).